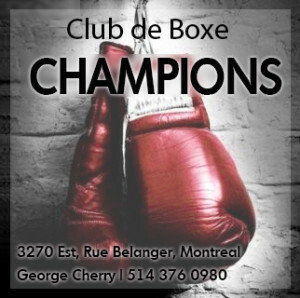 Since Evander Holyfield vacated his cruiserweight titles in favour of heavyweight glory, the weight class has taken on a decidedly international flare, with David Haye, Jean Marc Mormeck, Yoan Pablo Hernandez, Steve Cunningham, Denis Lebedev, Murat Gassiev, and the aforementioned Huck, Glowacki, and Usyk (amongst others) distinguishing themselves at various points. 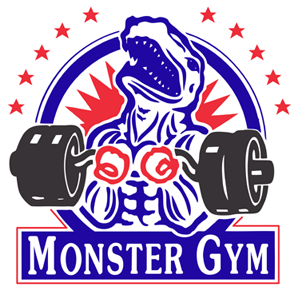 For South African Kevin Lerena, the chance to enter the fray at world level against such a diverse crop of champions and contenders presents innumerable opportunities to capitalize on a unique moment in cruiserweight history. At a passive glance, Lerena’s 16-1 ledger doesn’t cause one to pause, but greater scrutiny reveals an impressive breadth of experience for a 24-year-old upstart. Most compelling is that of Lerena’s 17 career bouts, seven have been scheduled 10 or 12 rounders. 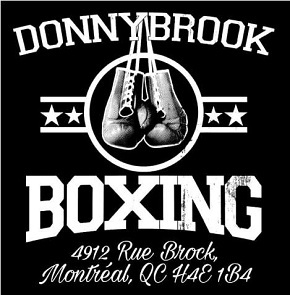 He has also gone the championship distance once and has been extended to 10 rounds on four occasions. Because of his limited amateur background, Lerena views these experiences as invaluable, noting that even heated sparring sessions cannot remotely compare to these distance fights, while also conceding that he’s still in need of seasoning. Credit: Golden Gloves of South Africa. After a couple of subsequent wins, one of which gave him South Africa’s cruiserweight championship, Lerena got the chance to exact revenge against Muller in a bout where he defended his new title and also picked up the WBA Pan-African 200-pound strap. In halting Muller, Lerena exorcised some demons and silenced his critics, effectively demonstrating one of the most important attributes a pugilist can possess: the ability to genuinely grow following a loss. 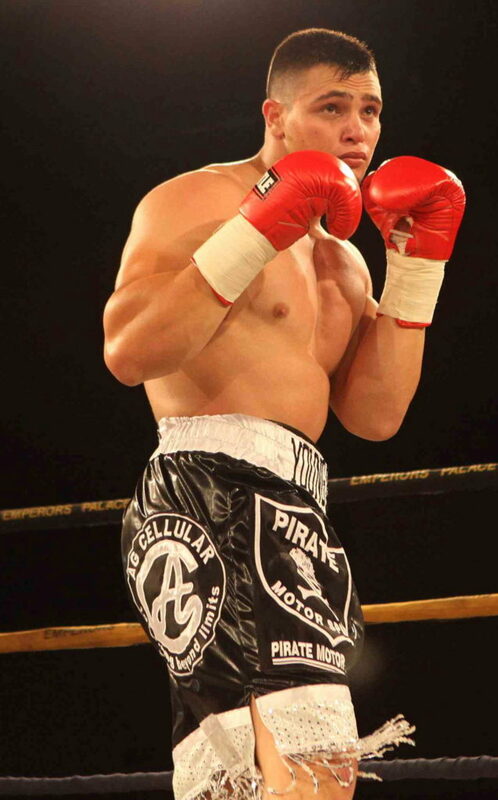 The Muller triumph propelled Lerena into a “Super 4” single elimination tournament, which was crucial in securing his top-15 rankings in the WBC and WBO. 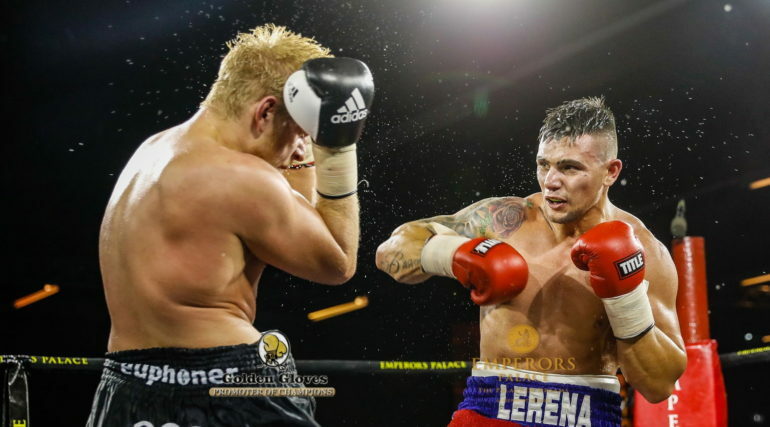 With world championship implications at stake, Lerena produced two impressive performances in scoring decisions over rugged gatekeeper Roberto Bolonti and then-undefeated Micki Nielsen, who was highly rated and closing in on a title shot. The Nielsen win officially burnished Lerena’s contender status and proved he could employ sound tactics against a dangerous foe. And yet, ever the critic, Lerena admits that at times he was too concerned with Nielsen’s punching power and offensive prowess. In his eyes, this prevented him from taking full advantage when he had Nielsen hurt in rounds seven and eight. But, as has become the theme of Lerena’s young career, he learned from the experience. 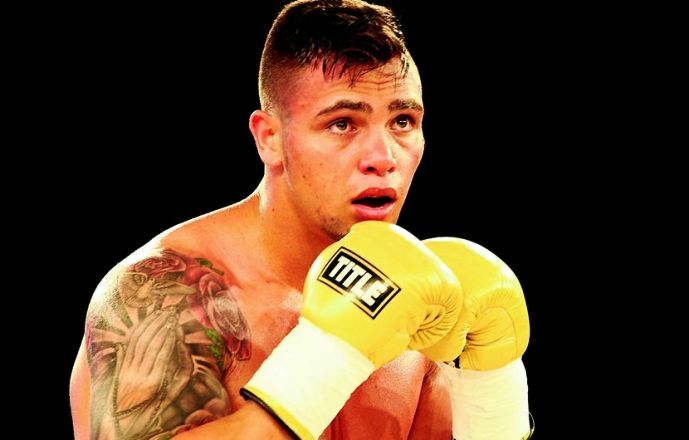 The next phase of Kevin Lerena’s progression includes both an upcoming bout against Vikapita Meroro, yet another battle-tested foe, and the hope of soon making his American debut. Co-promoted by Golden Gloves of South Africa and Artie Pelullo’s Banner Promotions, Lerena plans to burst onto the Stateside scene in 2017. And because of his popularity in South Africa, Lerena is ideally positioned to nurture his local support structure and capitalize on Banner’s connections with U.S. television networks and a larger pool of opponents. As for the Meroro fight, Lerena knows that the former light heavyweight will try to box and move. Lerena also respects Meroro for his willingness to fight him in South Africa. And interestingly, Lerena was forthcoming in terms of discussing the pressure of now being the targeted, ranked fighter. With so many tantalizing prospects on the horizon, Lerena cannot afford the slightest misstep. At this juncture of his career, one of Lerena’s greatest mental hurdles is balancing the need to focus on the present while acknowledging exactly what’s at stake in terms of his short-term prospects. Part of Lerena’s focus and dedication comes from the desire to carry forward the mantle of South Africa’s rich boxing history. Pugilism has both popular and cultural significance in South Africa, with distinguished fighters like Dingaan Thobela, Jacob Matlala, Corrie Sanders, Gerrie Coetzee, and Hekkie Budler standing out amongst so many others. Kevin Lerena, keenly aware of this history and tradition, wants to join that elite group, reinvigorate the sport in his country, and be recognized as a standard-bearer for South African boxing.